A few months after our big trip, the Trans Provence, we’re still smiling when looking back. Sharing the experience was phenomenal and we’re still having our little inside jokes. 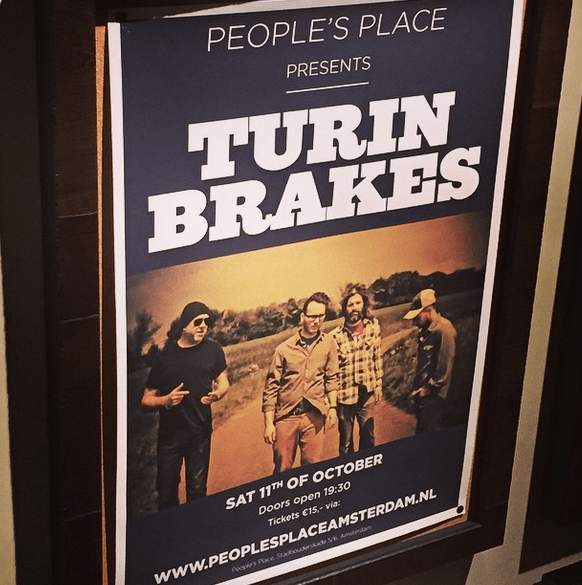 Last week our buddy Georg visited from Germany to watch the Turin Brakes in the People’s Place in Amsterdam. Their cd was playing non-stop in the van, so we have fond memories of the band. It was good to see Georg, he dumped the Cube and replaced it with a Liteville and like us is eager to go back. Or where-ever 😉 just riding in the Alpes is good to start with! We started our journey in oktober 2013 when we booked. Trained dedicated and whole-heartedly, the getting in shape was an adventure to itself. We trained mostly together, planned many training-weekends and our rides became longer and more epic every weekend. We became a well oiled machine together, needing just a few words to exchange thoughts of either encouragement, bathroom routines or who’s first down on the trailhead. I’m glad we did this together. Then it was the preparing of the gear that we needed for the trip. We have a “one-bag-rule” not just placed upon us by the organizers, but also our own rule 😉 keep it minimal! So what’s the basic you’ll need and still be okay? In the Alpes you’re never too sure about the weather so you’ll need proper rain gear, enough gear to wear when it gets wet every day. Lucky for us, we really didn’t have any rain. So we had too much stuff there. We also needed spare parts, tools and the ideal backpack (we found later, the Mavic Crossmax Hydrapack as used by Ash and Julia, are close to that ideal. Our Vaude’s came close). A Leatherman; just in case we needed to survive the mountains and skin a rabbit. We made it through without many defects. My bottom-bracket broke, but could hold until I was home, Annemieke’s bottom-bracket also took a big hit and needed only a tightening. The spare tires, deraillers, cables and brake-pads: luckily no need for it! Only took up space in the bag, but you don’t want to be without it and having to cut your trip short. What also took up space in the bag was food. Both of us like to start the day with oatmeal, it’s a strong preference and basically a requirement. Each morning we asked the restaurant of where we stayed to zapp our bowl of oats and soy-milk we brought from home. A bit odd but worked like a charm. Day 1 Julia kept pushing ‘do you have enough? Bring more, bring more then you think you need’. Ash’s wife baked granola bars and they had other bars, candy, peanuts and crisps. Every day Julia would coach us on the food department too, how much to bring and to remember to restock and replenish. The most amazing thing was the box of Haribo candy, it was like magic: it was always full! We never saw them refill it so to us it was magic candy. Mixed with salty peanuts the weird salty/sugary/sour taste became fuel, strictly for Trans Provence use though. Don’t think you’ll starve any time soon! But lunch too, don’t get me started! Every day a full spread, fresh bread, salad, cheeses and meats. You will not go hungry during the Trans Provence week, you get properly fed. That night in Valdeblore, I remember we were really hungry. I know there’s a social rule against saying your hungry, but man we could eat a horse or two. Pizza’s were served and we divoured them within minutes, still not fully satisfied we discovered this was just the entrée. We were served spaghetti too. I was the last one to get a plate… everyone stared at me. The pile of spaghetti on my plate was impressive! It was like they had 3 portions left in the pan and put it on my plate. I didn’t really care and dug in with 8 pair of eyes witness to me working my way through this massive mountain of food. It was just a few bites too much for me, but I received massive respect for my attempt. We were fed like that every day, portions catered to hungry bikers. Ash told us not to go hungry that they had a deal and we should always ask for more when needed. Great hotels all week long. The last one near Sospel was our personal favorite. Not just because we had a bathroom as big as my house and the superb beds, but -once again the food- the catering was magnificent. Great cooking, served with passion and humor. What great hosts! How about the actual riding then? The climbs are longer and steeper than we’d ever seen. Piet and Plons prepared us for walking, and I must admit it was harder at first than I imagined. Perhaps if we didn’t drive so close to the first day of riding, we would have had a better start. I have no idea how to train for such long climbs, climbs that can last for hours perhaps. We will be back for more. Next year we will ride the Transvesubienne, in the same mountains, with the same (or more) big climbs. We’ve acquired the taste for it! Switchbacks can be challenging too, sometimes a bit frustrating. Only on long trail near Roubion did we get discouraged at times, the trail was that challenging. Much to learn still, so that’s good, and a good reasons to go back (if we need a reason at all)! Ash and Julia where also perfect hosts and mountain guides, great trail tails and plenty running gags that’ll keep me smiling for the rest of my life. Like how Plons Racing (who doesn’t know him?) was mentioned really multiple times every day. His jokes about a mountain-guide sharing trivial local information got us searching for a princess in a castle, only to find out on the last day she was actually princess Grace Kelly from Monaco. We had a good group of fellow riders, great spirited and humor. It was very nice to meet you all! Thanks to Ash and Julia for the excellent care! We will definitely return! Annemieke: “6 months later, viewing the pictures for the 26th time, I am still amazed about the this great experience.